American Powertrain started in 2005 to help muscle car owners equip their cars with modern drivetrain technology. We provide the best overdrive transmission solutions and parts. With 24 hour customer first tech line and help. American Powertrain is manned by experienced enthusiasts with years of installation experience. 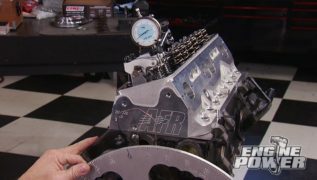 (ANNOUNCER)>> TODAY ON ENGINE POWER, WE DEDICATE A WHOLE SHOW TO WHAT'S BEHIND THE ENGINE. 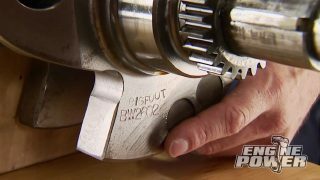 THE GUYS SHOW YOU HOW TO BUILD YOUR OWN DRIVESHAFT AT HOME, HOW TO INSTALL A CLUTCH IN AN '03 MUSTANG COBRA, AND A LOOK AT WHAT IT TAKES TO UPGRADE THE MOST POPULAR MANUAL TRANSMISSION. 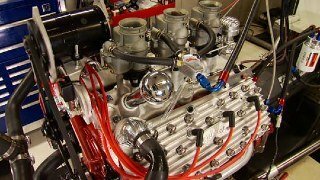 (MIKE)>> THERE'S MORE TO HIGH PERFORMANCE THAN JUST CUBIC INCHES. SURE IT ALL STARTS IN THE ENGINE BAY, BUT WITHOUT A WAY TO GET IT TO THE GRIND, WELL YOU'RE JUST STANDING STILL. CHOOSING THE RIGHT TRANSMISSION AND ITS COMPONENTS COULD MEAN THE DIFFERENCE BETWEEN IMPROVED LAUNCHES OR BRUISED EGOS. BUT WHAT GEAR BOX WILL WORK BEST WITH MY ENGINE? WHAT ABOUT A CLUTCH, BELL HOUSING, AND CROSS MEMBER? DO I HAVE TO CUT MY FLOOR? ALL KEY DECISIONS THAT CAN BE ANSWERED WITH ONE PHONE CALL. ( )>> GOOD MORNING, AMERICAN POWERTRAIN, HOW CAN I TRANSFER YOUR CALL? 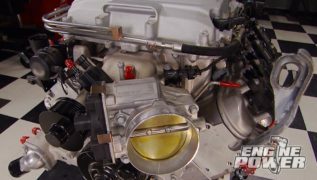 (MIKE)>> THIS IS AMERICAN POWERTRAIN. ROBERT HALL IS THE FOUNDER AND COOWNER. (ROBERT)>> WE CAN PUT A FIVE OR SIX SPEED GEARBOX IN JUST ABOUT ANY CLASSIC MUSCLE CAR. THE BUILDING AND PACK OUT HAPPEN. (MIKE)>> GRAY FREDERICK IS THE CEO AND LEAD DEVELOPER. HIS TEAM OF SALES TECHNICIANS, PRODUCTION ENGINEERS, AND MATERIAL HANDLERS ARE ALL ENTHUSIASTS WHOSE JOB IT IS TO TALK TORQUE. THOUSANDS OF TRANSMISSIONS AND TRANSMISSION RELATED PARTS ARE SHIPPED FROM THEIR MIDDLE TENNESSEE HEADQUARTERS WORLDWIDE. GRAY TELL ME WHAT THE SINGLE MOST IMPORTANT SERVICE THAT AMERICAN POWERTRAIN OFFERS. (GRAY)>> I THINK THE CORNERSTONE OF OUR BUSINESS HAS ALWAYS BEEN OUR PRO FIT TRANSMISSION INSTALLATION KITS, MIKE. (MIKE)>> A GUY CALLS, GETS EVERYTHING HE NEEDS FOR A ONE STOP INSTALLATION RIGHT? (GRAY)>> YEAH WE WANT A GUY TO BE ABLE TO TAKE HIS TOOLS OUT AND IN ONE WEEKEND PUT A FIVE OR SIX SPEED IN HIS CAR, BE BACK ON THE ROAD ENJOYING IT. 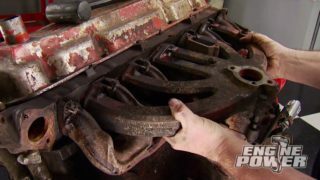 (MIKE)>> IT ALL STARTS WITH MANUAL GEAR BOXES FROM TREMEC TRANSMISSION. YOU'LL FIND THESE IN BRAND NEW CAMAROS, CORVETTES, VIPERS, AND MORE RIGHT OFF THE ASSEMBLY LINE. 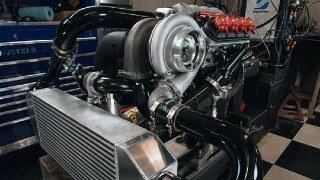 AND FOR THE AFTERMARKET, AMERICAN POWERTRAIN IS AN ELITE DISTRIBUTOR, WHERE THEY ARE STOCKED AWAITING THE NEXT PHONE CALL AND CUSTOM APPLICATION. (PAUL)>> YEAH, YOU SHOULD HAVE GOTTEN THE MOUNTS. A TYPICAL PHONE CALL WILL GO LIKE, THEY KNOW THEY WANT AN OVERDRIVE TRANSMISSION, THEY JUST WON'T KNOW HOW TO DO IT. (GRAY)>> WE'RE GONNA SELL YOU THE TRANSMISSION THAT'S APPROPRIATE FOR YOUR BUILD. AND A LOT OF CUSTOMERS WHO ARE CALLING, THEY DON'T KNOW WHAT THEY WANT. SO THEY NEED SOMEBODY ON THE OTHER END OF THE LINE THAT CAN TELL THEM WHAT THE BEST STEPS ARE TO TAKE TO BUILD THEIR CAR THE WAY IT SHOULD BE. PROPER BELL HOUSING, PRESSURE PLATE, SPEEDO GEAR AND CABLE, BACK UP LIGHT HARNESS, AND THE RIGHT CROSS MEMBER ARE ALL OFFERED UP BY EXPERT TECHS. (MATT)>> WHAT WE'RE DOING NOW ON THIS '67 COUPE COUGAR IS REPLACING THIS STEEL CROSS MEMBER WITH AN ALUMINUM XFACTOR CROSS MEMBER. IT GIVES YOU BETTER GROUND CLEARANCE AND BETTER CLEARANCE FOR EXHAUST PIPES. (GRAY)>> A LOT OF OUR TRANSMISSIONS GO OUT OF HERE MODIFIED ON THE OUTSIDE. 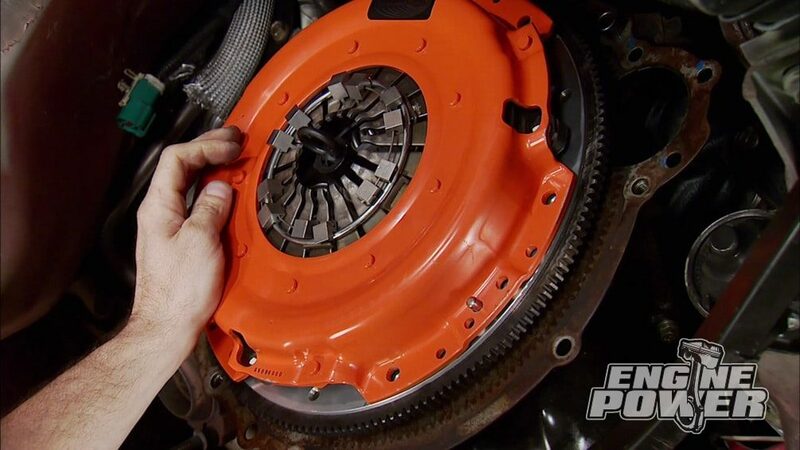 SO IF YOU HAVE A MUSTANG, OR A CORVETTE, OR A CUDA, THE TRANSMISSION MAY START OUT THE SAME TRANSMISSION IN THE BOX, BUT WHEN IT GOES OUT OF HERE IT'S VERY SPECIFIC TO YOUR MODEL. DOZENS OF CLASSICS IN HOUSE FOR R&D. AND NOW MORE CUSTOMERS CAN TAKE ADVANTAGE OF SMOOTH SHIFTS THANKS TO THEIR RELATIONSHIP WITH SUMMIT RACING EQUIPMENT. (ROBERT)>> BY PEOPLE STARTING TO SEE US OUT THERE ON SUMMIT'S WEBSITE, AND THEN AFTER THE FIRST OF THE YEAR IN SUMMIT'S CATALOG, IT'S BRINGING ATTENTION TO US FROM PEOPLE WHO MIGHT NOT HAVE EVEN BEEN ABLE TO FIND US BEFORE. AND WE'RE VERY EXCITED ABOUT IT HERE. IT'S REALLY HAD US SHARPEN OUR GAME TO BE ABLE TO TURN THINGS OUT AT THE VOLUME THAT SUMMIT DEMANDS. 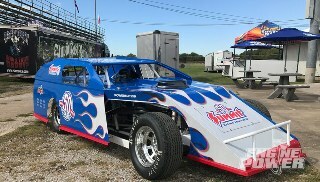 (PAUL)>>I WANT THEM TO CALL ME BACK AND SAY WOW PAUL, THIS IS INSANELY AWESOME! FROM THESE GUYS. AND WHEN THE TRANSMISSIONS COME IN FROM TREMEC, THIS IS WHERE AMERICAN POWERTRAIN STARTS WITH THEM. GRAY TELL ME ABOUT THIS UPGRADE. 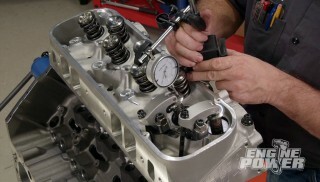 (GRAY)>> OKAY WELL WHAT JOSH IS WORKING ON DOWN HERE IS A TREMEC TKO. THAT HAS BEEN OUR BREAD AND BUTTER FIVE SPEED HIGH PERFORMANCE TRANSMISSION FOR YEARS. THE TRANSMISSION HAS BEEN DURABLE. IT'S RATED FOR 600 FOOT POUNDS OF CONSTANT LOAD, AND IT'S BEEN A GREAT TRANSMISSION FOR OUR CUSTOMERS. 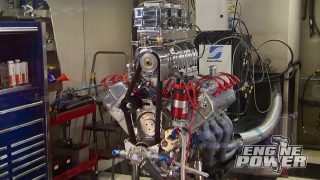 WHAT WE'RE SEEING NOW IS A LOT OF GUYS CAN NOW STROKE A CHECK FOR 800, 1,000 HORSEPOWER, LOTS AND LOTS OF TORQUE. OUT OF THE BOX. THERE'S ONLY CALL FOR IT AT THE UPPER END OF WHAT WE'RE DOING, WHICH IS VERY HIGH POWERED STREET AND HOBBYIST DRAG RACING. 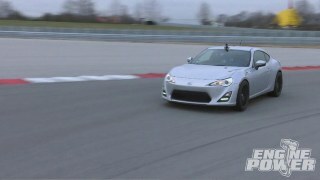 (MIKE)>> GRAY TELL ME WHAT THE DIFFERENCES ARE WITH THESE INPUT SHAFTS. (GRAY)>> OKAY WELL AS YOU CAN SEE HERE, THIS ONE'S KIND OF A DULL GRAY FINISH. THIS IS THE ORIGINAL TREMEC PART. IT'S BEEN HEAT TREATED. THIS PART OVER HERE HAS BEEN ADDITIONALLY RIM POLISHED AND CRYOHARDENED. WHEN YOU CRYOHARDEN, YOU ESSENTIALLY TAKE THIS PART AND FREEZE IT. TAKE IT DOWN TO ALMOST ABSOLUTE ZERO. THEN BRING IT BACK UP TO TEMPERATURE AT A CONTROLLED RATE. AND WHAT THAT DOES IS IT CHANGES THOSE COMPOUNDS TO A STRONGER COMPOUND. YOU GET ABOUT 30 PERCENT MORE STRENGTH OUT OF THE PART. THAT 30 PERCENT CAN MAKE A BIG DIFFERENCE BETWEEN FAILURE AND DURABILITY WHEN YOU'RE TALKING BIG POWER. (MIKE)>> VERY COOL, IT'S ALMOST A SHAME THEY GO INSIDE THE CASE. IT LOOKS LIKE A PIECE OF JEWELRY. (GRAY)>> YEAH THEY REALLY COME OUT LOOKING NICE AND THEY ALSO PERFORM VERY WELL. (GRAY)>> YEP, WE ACTUALLY CHANGE THE SYNCHROS FOR OUR EXTREME UPGRADE. THIS IS ACTUALLY THE TREMEC ORIGINAL SYNCHRO AND THIS ONE HERE IS THE UPGRADED PART. YOU CAN SEE THEY ESSENTIALLY USE THE SAME METAL, BUT ON THE INSIDE OF THIS ONE YOU'VE GOT CARBON FIBER. CARBON FIBER ACTS AS A BREAK, SO IT SLOWS EVERYTHING DOWN MORE QUICKLY, HELPS THE TRANSMISSION SYNCHRONIZE BETTER AT HIGH RPM'S. IN ADDITION TO THAT, THIS STUFF WILL NOT WEAR AT ALL. WE ALSO UPGRADE THE FORK PADS. THIS, MIKE, IS A SLIDER. THIS LOCKS INTO THE FORK. WHEN THIS FORK MOVES BACK AND FORTH, WHEN YOUR HAND MOVES THE SHIFTER, THAT'S WHAT CHANGES THE GEARS. THE ORIGINAL FORK PADS ON THESE THINGS ARE A LITTLE BIT LOOSE AND THEY'RE MADE OF PLASTIC. SO IF YOU PUT A WHOLE LOT OF ABUSE TO THEM, YOU CAN ACTUALLY BREAK THEM AND WEAR THEM DOWN. 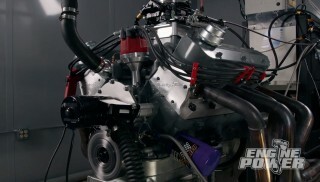 SO WE ACTUALLY REPLACE THOSE WITH A BILLET PAD, AND THAT SLIDER WILL LOCK IN WITH A LOT MORE PRECISION ON A BILLET PAD. SO YOU GET MORE RANGE OUT OF THE FORK, YOU DON'T GET ANY WEAR SO THESE THINGS WILL LAST PRACTICALLY FOREVER. YOU DON'T HAVE TO CHANGE THEM. (MIKE)>> IT ENGAGES THE GEAR A LOT SMOOTHER AND SECURE. A TRANSMISSION THAT IS DEPENDENT ON VERY TIGHT TOLERANCES, IMPROVING THOSE TOLERANCES CAN MAKE A BIG DIFFERENCE. (MIKE)>> ALRIGHT GRAY, YOU SHOWED ME THE UPGRADES FOR THE EXTREME INTERNALS, HOW ABOUT THE EXTERNAL CASE? (GRAY)>> WELL MIKE ABOUT 10 PERCENT OF OUR CUSTOMERS GET AN INTERNAL UPGRADE ON THEIR TRANSMISSION. SO PROBABLY 90 PERCENT OF OUR CUSTOMERS GET AN UPGRADE ON THE OUTSIDE OF THE TRANSMISSION SO THAT IT WILL FIT THE CAR. WE'VE MOCKED UP HERE, THIS IS THE ORIGINAL TRANSMISSION, THE WAY IT COMES IN THE BOX. AND YOU CAN SEE THE SHIFTER IS A TREMEC SHIFTER, THIS IS THE ORIGINAL TAIL HOUSING. I'M GONNA HAVE JOSH LIFT THAT UP AND I'M GONNA LIFT THIS ONE UP SO THE CAMERA CAN SEE. THIS IS OUR CORVETTE TAIL HOUSING. LIKE YOU SAW ON OUR '66 CORVETTE, THIS TRANSMISSION HAS ACTUALLY BEEN MODIFIED SO IT'LL FIT THE CAR. SO THE SHIFTER BOXES ON THE SIDE HERE. YOU CAN SEE THAT THE SHIFTER IS LOWER AND IT'S GONNA FIT RIGHT IN THE ORIGINAL FOUR SPEED POSITION IN THE CAR. SO THERE'S A LOT OF MATERIAL MISSING FROM THE BOTTOM OF THE TAIL HOUSING HERE AND ALSO MATERIAL MISSING FROM THE MOUNTING PAD. 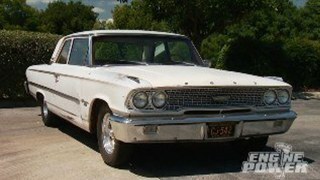 ALL THAT IS TO MAKE THE TRANSMISSION EASIER TO INSTALL AND TO GIVE IT AN ORIGINAL LOOK. (MIKE)>> EASY INSTALLATION KEEPS THE PURIST HAPPY. (MIKE)>> VERY COOL, WELL WE'VE DONE SEVERAL INSTALLS IN THE SHOP WITH YOUR TRANSMISSIONS, AND FINALLY BEING ABLE TO SEE WHAT'S INSIDE OF THEM IS A REAL TREAT. I WANT TO GREATLY THANK YOU FOR THAT. (GRAY)>> WELL THANK YOU FOR COMING DOWN, WE'VE ENJOYED HAVING YOU. 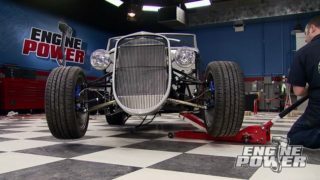 (ANNOUNCER)>> COMING UP, PROJECTS YOU CAN DO YOURSELF, EVEN IN YOUR GARAGE, FROM A CLUTCH UPGRADE TO A DO IT YOURSELF DRIVESHAFT. STEEL FRICTION SURFACE TO THE ALUMINUM HOUSING. SMALL INCREMENTS IN A CRISS CROSS PATTERN. THAT WILL ALLOW THE MATING SURFACE TO SEAT EVENLY ON THE DISC, AND WHEN THE PRESSURE PLATE IS CYCLED IT WILL KEEP AN EVEN CLAMPING LOAD. WAY WE PULLED IT APART. 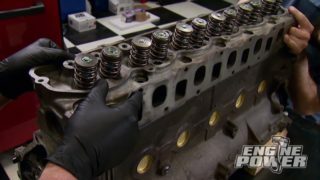 NOW TODAY'S SHOW WAS ALL ABOUT WHAT'S BEHIND THE ENGINE, HOW IMPORTANT IT IS, AND SOME GOOD QUALITY PARTS TO USE ON YOUR NEXT PROJECT. THE REST IS UP TO YOU. SO GO PUT THAT LEFT FOOT TO GOOD USE. LATE IN THE BUILD. WELL THE SAME THING GOES FOR A DRIVELINE. 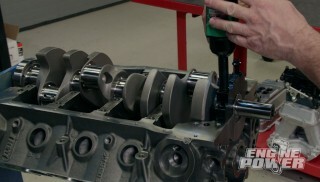 YOU HAVE TO HAVE THE ENGINE, TRANSMISSION, REAR END, EVERYTHING IN BEFORE YOU CAN MEASURE FOR YOUR DRIVESHAFT'S LENGTH. NOW A CUSTOM DRIVESHAFT CAN GET PRETTY PRICEY, BUT IF YOU'RE A DO IT YOURSELFER CHECK THIS OUT. 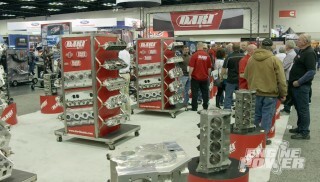 SUMMIT RACING NOW OFFERS DRIVESHAFT KITS. NOW THIS ONE CAME TO US IN A 55 INCH LENGTH. IT'S A STEEL TUBE THAT'S THREE INCHES IN DIAMETER. IT ALREADY HAS THE UJOINT YOKE WELDED ON, AND THE UJOINT INSTALLED ON ONE END. OF THE UJOINT CUP. TWO INCHES, AND SUBTRACT THAT AS WELL. OUR TOTAL IS 41 AND A QUARTER. MEASURE FROM THE CENTER OF THE PREINSTALLED CUP TO 41 AND A QUARTER. SUBTRACT THREE QUARTERS SO THE YOKE HAS SLIP ROOM ON THE TAIL SHAFT, AND MAKE YOUR MARK. I LIKE TO USE A CHOP SAW FOR STRAIGHT CUTS ON TUBE RATHER THAN A BAND SAW SINCE THE BLADE TENDS TO WALK. USING A LEVEL ON THE REAR YOKE, MARK THE TOP OF THE TUBE AND ALIGN THE SUPPLIED YOKE TO IT. TAP IT IN UNTIL IT SEATS. USING TWO BEAD BLOCKS AND A FIXTURE I CAN ROTATE THE SHAFT AS I WELD IT TOGETHER. THE NEXT STEP IS INSTALLING THE UJOINT USING A VICE, AND INSTALLING THE RETAINER CLIPS. FINALLY THE SHAFT CAN BE TEST FIT INTO THE VEHICLE BY SLIPPING INTO THE TRANSFER CASE AND SEATING IT IN THE REAR YOKE. OUR LENGTH IS SPOT ON. BACK IN THE DAY THERE WAS A PROCESS USED TO BALANCE DRIVE SHAFTS USING THESE, BASIC HOSE CLAMPS. SEEMS TO LIKE IT AS WELL. SO YOU SAVE SOME MONEY AND EARN SOME BRAGGING RIGHTS BECAUSE YOU DID IT YOURSELF. PROCESS BY ELIMINATING THEIR TRADITIONAL WELDING SUPPORT JIB. NOW THEY'RE MADE OF STAINLESS STEEL AND PROVIDE A PRECISE ROTATIONAL SUPPORT TO GET THOSE JOINTS NICE AND TIGHT. NOW THEY COME IN A FOUR PACK AND THEY HAVE SEVERAL DIFFERENT TUBE DIAMETER SIZES. YOU CAN GET YOUR CAN OF CLAMPS FOR YOUR NEXT PROJECT AT SUMMIT RACING FOR JUST OVER $100 BUCKS. (MIKE)>> SCHUMACHER ELECTRIC HAS A PRODUCT ON THE MARKET NOW THAT ANYBODY WHO OWNS A VEHICLE SHOULD HAVE IN THEIR TRUNK. IT'S CALLED THE PORTABLE POWER STATION. NOW THIS THING WILL JUMP YOUR BATTERY OFF WHEN IT'S LOW, INFLATE YOUR CARE TIRE ON THE SIDE OF THE ROAD WITH THE ONBOARD HIGH PRESSURE COMPRESSOR. NOW IT ALSO HAS AN INFLATOR THAT YOU CAN INFLATE AIR MATTRESSES WITH. NOW IT CAN POWER ALL TYPES OF DIFFERENT COMPONENTS WITH THE 120 PLUG INS, OR THE 12 VOLT POWER OUTLETS. NOW THIS THING ALSO HAS OTHER FEATURES LIKE AN ONBOARD WORK LIGHT AND USB PORT. NOW IT'S POWERED BY AN AGM LEAD ACID BATTERY THAT CAN BE CHARGED WITH THE SUPPLIED WALL CHARGER OR BY PLUGGING INTO THE POWER PORT IN YOUR VEHICLE. THE COST RIGHT AT $120 BUCKS. 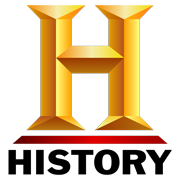 (JOHN)>> DO YOU LIKE TO MAKE UP YOUR OWN PLUG WIRES OR DO YOUR OWN AUTOMOTIVE WIRING? WELL IF YOU'RE LOOKING FOR A TOOL THAT'LL HELP SAVE YOU TIME AND GIVE YOU BETTER RESULTS, THIS IS IT. IT'S PERTRONIX PERFORMANCE QUICK CHANGE RATCHETING CRIMPING TOOL. THAT'S RIGHT, NO MORE TOOLS TO CHANGE OUT THE CRIMPING DYES. THEY JUST SIMPLY SLIDE INTO PLACE. IF YOU WANT TO CHANGE THEM YOU JUST PULL THEM OUT. NOW THE DYES ARE MADE OF ZINC PLATED CHROMOLY, AND THE BODY ITSELF HAS A NONSLICK GRIP FOR EASE OF USE. NOW THE BEST THING IS SUMMIT RACING'S GOT THEM IN STOCK FOR $105 BUCKS. NOW THAT'S ALL THE TIME WE'VE GOT FOR TODAY, WELL SEE YOU NEXT TIME.